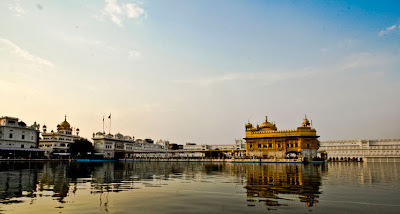 After staying in Pushkar, the most chillaxed place in India, we headed north to see the Golden Temple in Amritsar, Punjab. You know the old saying, “it’s easier said than done”. Well just describing our route and the varying amount of transportation devices we changed from was difficult. However you should never let a hole in the road (or in our case a bazillion holes) deter you. 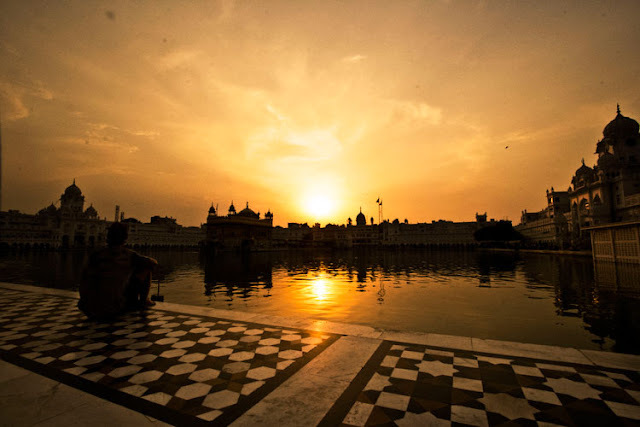 Despite the agonizingly slow and long distance we traveled, everything we endured was all undoubtedly worth it in the end, to witness how marvelous the Golden Temple in Amritsar really is. Arriving to Amritsar at 2.30am, we (Ash and I) loaded up a rickshaw (taxi bike) and got peddled over to the “Tourist Guest House”. Using our reserve energy we bashed on the door for a response and settled for the first room with beds that we saw. With a well-deserved sleep in and some breakfast in our bellies we haled a taxi to go visit the temple. 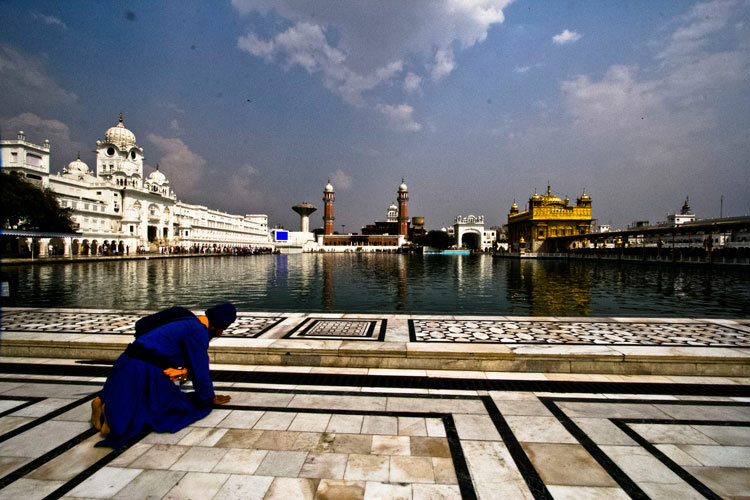 Take note, if you’re visiting the Golden Temple you must have a head scarf/bandana to cover your head. You are also required to be barefoot and wash your feet in the holy water before entering. Now, I am not the slightest bit religious in any way, shape or form. But wow! 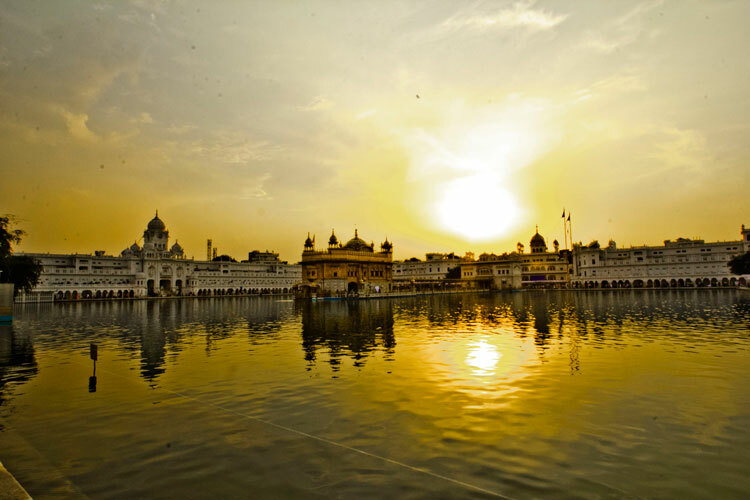 Incredible, astonishing, magnifique even, were the first thoughts that bubbled into my brain at my first glance of the Golden Temple. Walking in from the hustling and bustling Indian streets into the quaint area that surrounds the Golden Temple is nothing but beautiful. Everything is clean, there is no city noise and the temple is remarkable. Lapping it up, we sat down to peacefully rest and soak it all in. We visited the temple during the day and I also wanted to see how spectacular it is by night, so we hung around to watch the sunset. This is a must! I highly recommend witnessing the temple during sunset; it’s nothing less than remarkable. 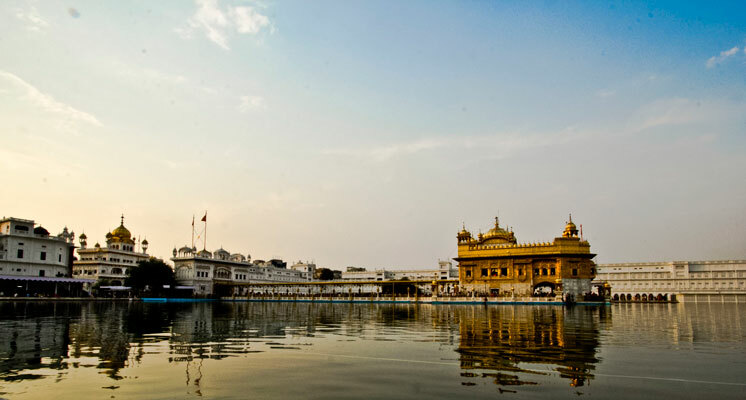 Other than the famous temple, Amritsar hasn’t got all that much on offer. Sure you could visit the changing of the guards at the border (Pakistan and Indian border). 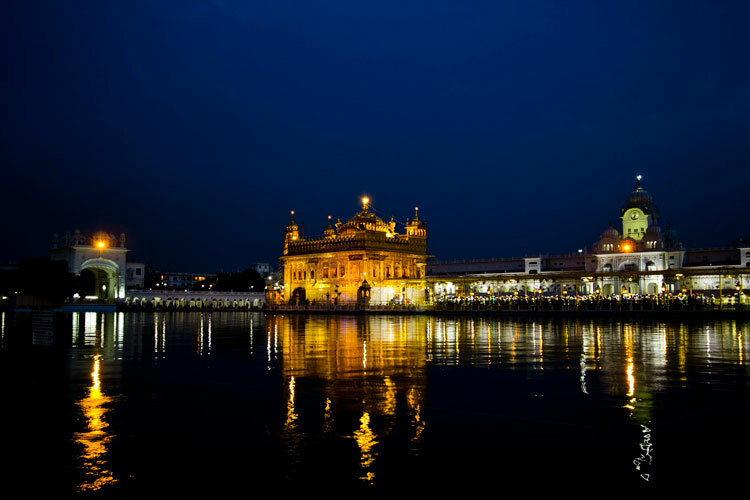 But the majority of visitors are for the temple, especially Indians, they come from far and wide to see and pray by this holy temple. With so much Indian tourism it’s no wonder Ash and I (being white skinned) looked like Hollywood stars, as family after family came up to us to have their picture taken with us. People would sit next to us and start conversations, for about 30 mins we even had our own fan/groupie. This boy must have had sore eyes just from staring at our ugly mugs as he followed us around step by step. It was Ash who cracked it this time and politely shooed the boy away, while I again became preoccupied and trigger happy on my camera. 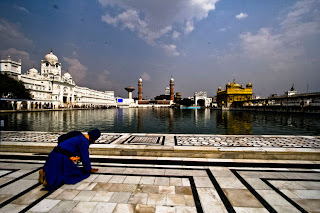 If you are in the north of India, The Golden Temple is well worth a visit. Find good accommodation though because our guest house was nasty and not exactly cheap for what we got. The food was anything but special; although one positive was that it was located extremely close to the railway station. If you go to visit the Temple, be sure to find somewhere a little closer to it where there are plenty of good guest houses and restaurants.